9th May 2018, Bengaluru: The date for polling for the upcoming Karnataka elections is May 12th, 2018. To understand the pulse and perception about the political parties among the citizens, LocalCircles carried out a large survey consisting of 4 polls. This is also a follow up study to the citizen manifesto that covered what do the citizens want from the political parties in the elections. There is a tri-partite contest in the state between incumbent Congress party, Bhartiya Janata Party and JD (S) all the three parties have ruled the state in the past at various point of time. 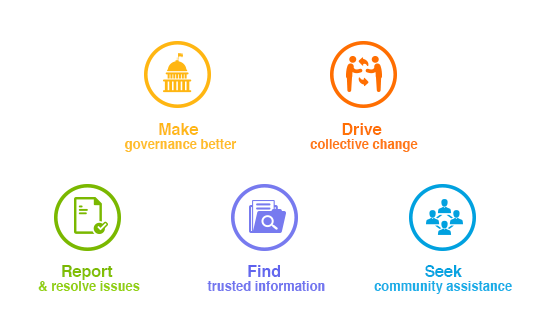 Hence the citizens have some perception of their governance styles. The last survey brought out that corruption in the state was a major issue, especially for doing business, getting permission or clearances from the city corporation or even in day to day activities and this has been endemic to all governments in the state. 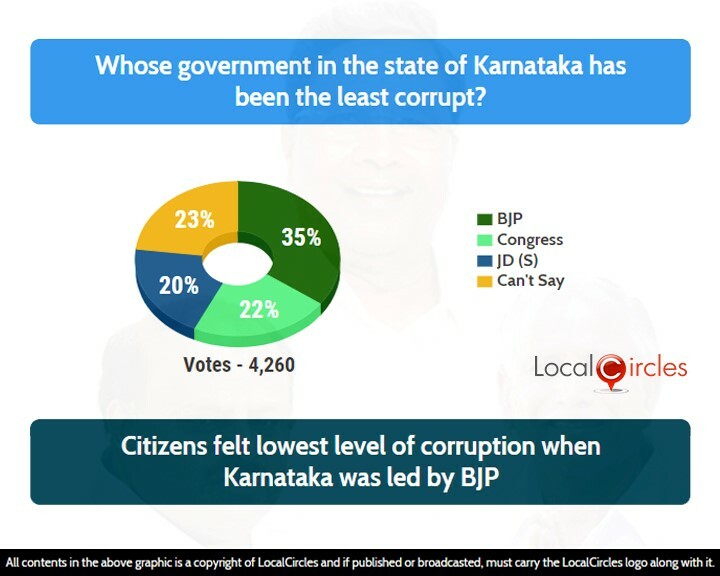 Hence the first question was which party’s governance was the LEAST corrupt. 35% of the people said BJP, 22% said Congress and 20% said JD(S). 23% were unsure. On the issue of administrative skills of a party, the question which party has been the most effective in the administration of the state. On this issue 40% citizens said it was Congress, followed by 37% citizens saying it was BJP, 15% could not comment, and 8% said JD (S). Not many citizens remember the governance skills of JD (S) government. 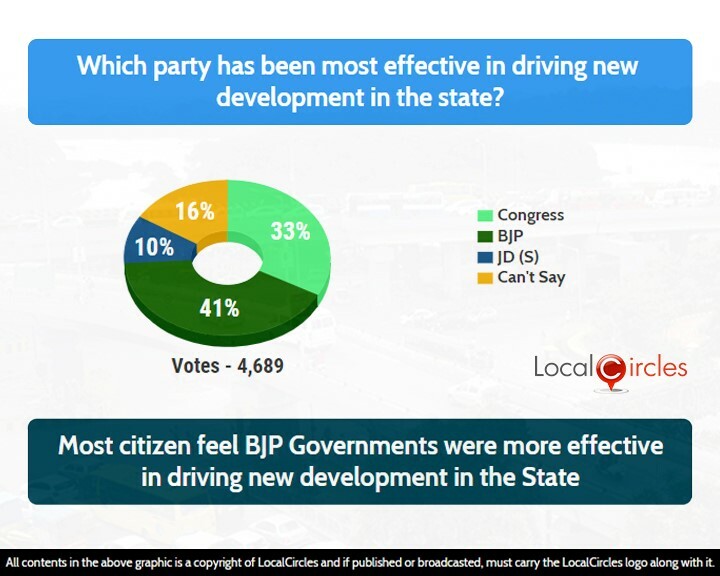 When asked which party’s government was good in new development, 41 % citizens said BJP. While 33% citizens said Congress, 16 % could not comment and just 10 % said JD(S). This shows that BJP has a higher identification with development and improvement, followed by Congress while JD (S) scores very low on this parameter. Cauvery water issue was a matter that saw frequent agitation in the state and it has always been a major political issue for the farmers too. Here, the sharing of water with other states had become a major problem during droughts. 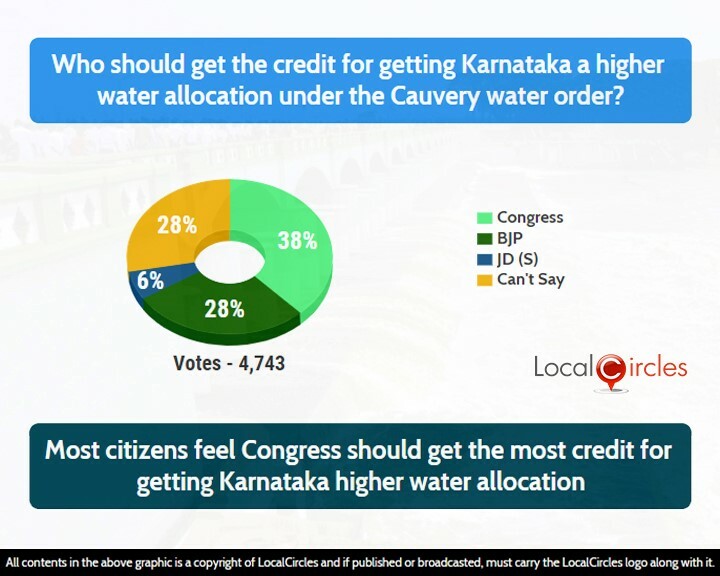 On this issue it seems that Congress gets the maximum benefit with 38% of citizens giving it credit for resolving it, followed by 28% citizens giving this credit to BJP. A very high percentage, almost 28% citizens could not comment on this issue. Just 6% gave credit to JD(S). The online poll conducted across the state received more than 17,000 votes and shows that while the contest is tri-partite the perception of JD (S) is poor in the state. Most people who participated in the polls are not even taking JD (S) into consideration while evaluating the performance on the four parameters and this may get reflected in the voting process.